There is a saying, “if you can’t take the heat, get out of the kitchen.” Well summer has arrived in Phoenix and temperatures are rising. Sassi invites you to get out of your kitchen and step into theirs with their Sassi Summer Cooking Series. Starting this June, attendees will be treated to a 3 course meal paired with 2-3 wines all while learning how prepare these delectable delights from the man himself, Chef Christopher Nicosia. 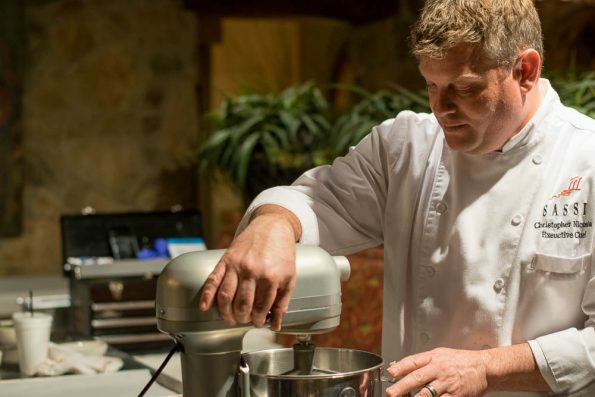 Recently, we were treated to blogger preview of the Sassi Summer Cooking Series. 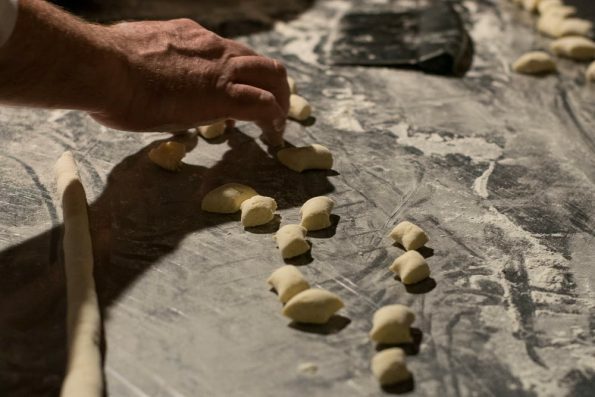 Our scaled down preview included recipes for Sassi’s ricotta gnocchi, wild mushroom ragu, and amaretti cookies. Watching Chef Nicosia cook was a treat in itself! As this was a scaled down event we didn’t have a full 3 course meal but with the food being so incredible, it wasn’t missed! Besides incredible food, the highlight of the evening was hearing the tips, tricks and insights (and favorite wing spot) of Chef Nicosia. Not only will he provide you tips that will help with the recipe at hand, like which type of ricotta to use (fine ricotta, for those of you who are curious) or how to chop various mushrooms but he also shares tips to help cooks once they leave the safety of the chef’s kitchen. According to Chef Nicosia, “the biggest thing [I tell people] is to use fresh herbs” (this can also add variety to your sauces by just simply changing up the herbs used), we also learned that an ideal serving of pasta is a 1/4 lb. dry pasta per person. This summer’s cooking series will take attendees to a different region of Italy during each class. Regions will include: Piemonte, Tuscany, and Sicily. 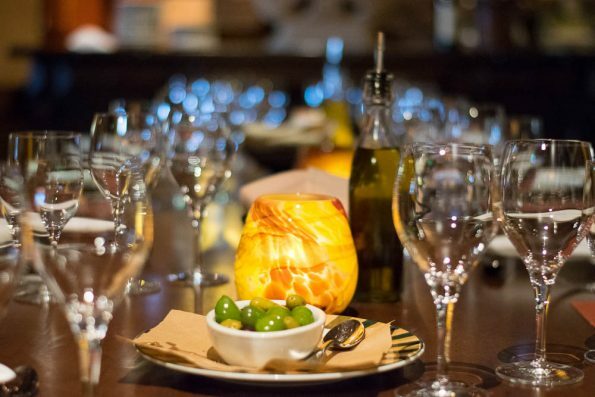 Each course will be paired with a different wine. Said wine will be available for purchase after the class at a discounted rate. Full details for the Sassi Summer Cooking Series have not been released yet, but rest assured once they become available we will share them! For more information, check out our recent dining experiences and thoughts about the incredible offerings of Sassi!